Garner's TOY, Mrs. Evans and SPAR, Mrs. Gann. Ms. Charles-Marc's 4th grade class!! We are the Garner Tigers…….. Hear us Roar!! Believe and Achieve…We ARE Tigers on the PROWL!! Welcome to Garner Elementary School’s webpage. We hope that you find all the information you need concerning our school. Please contact the office if you require any additional information at 965-5455. We look forward to serving the needs of all the children here at Garner Elementary School. Garner Elementary has been selected as and upcoming 10News School of the Week! We will be highlighting our schools AR efforts and recognizing that our students have read almost 30,000 books this year!! 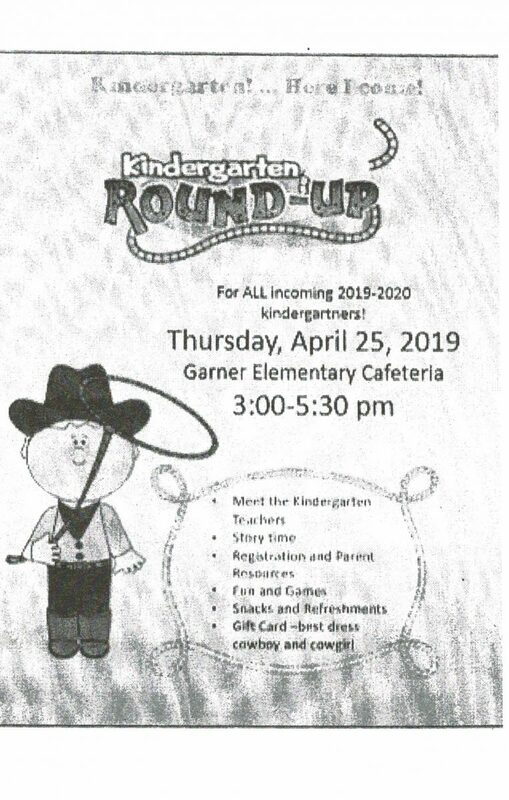 If you are able to participate and can have your child here on Friday, April 26th @ 6:00am, please let your child’s teacher know by Monday, April 22nd. There will be more information coming in the Wednesday Folder! Registration is open now!! School office hours are from 7:30am -4:00pm. 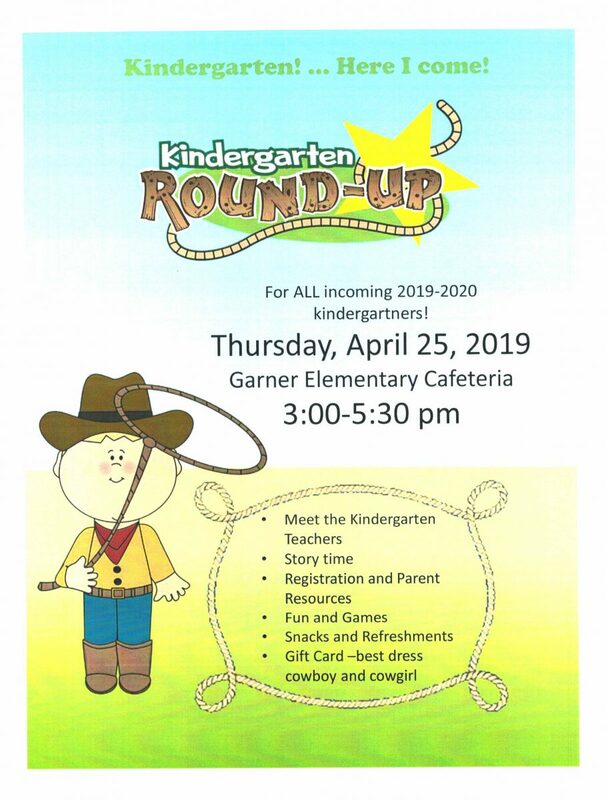 Check out these great opportunities offered by the Parent Resource Center right here on our Garner Campus. If you would like more information on the Parent Resource Center or any of the classes offered please call 863-965-5488. 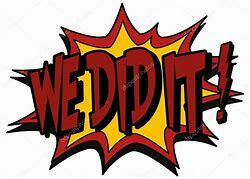 Congratulations Tiger, you have exceeded the goal of 25,000 books read! 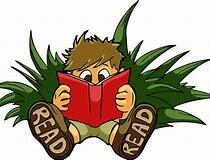 Currently Garner students have read 26,708 books. Should we raise our end of the year goal to 30,000? Great job tigers! Please continue to encourage your child to read at home. They will take AR tests at school. 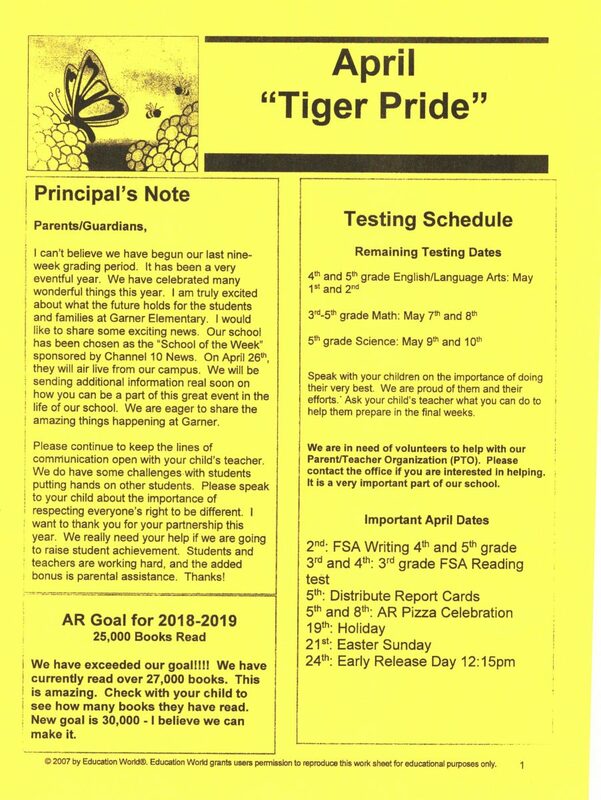 Best of luck to our third, fourth, and fifth graders as they begin FSA testing this week. Fourth and fifth graders will take the writing assessment on Tuesday 4/2 . 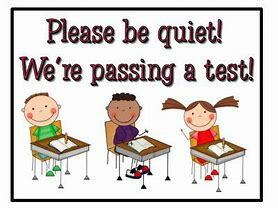 Third graders will take the ELA assessment on Wednesday and Thursday 4/3-4/4. Please make sure your child is at school and on time so they can take their assessment with their teacher. Students that arrive after testing has begun will take a makeup session. Garner Elementary classes will be featured on WPCV this week! 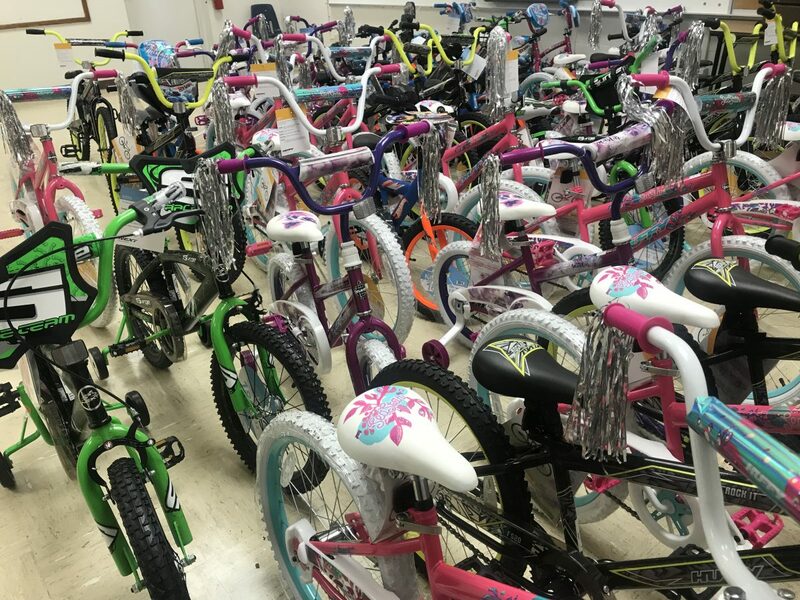 Last school year 50 students at Garner Elementary received bicycles for Perfect or Exemplary Attendance! Great job for meeting the Strive for Less than 5 initiative!! This year we have partnered with Polk Vision to bring awareness of the importance of student attendance in school. Our “Strive for Five” initiative sets to encourage students to miss less than five days of school. We will reward bicycles every 9 weeks for students with perfect attendance ( a drawing will be held to select 3 winners). All student with perfect attendance for the entire school year will receive a bike at the end of the year. The Tiger Pride Celebration is held every Friday! Students will earn tiger paws to attend a surprise event each week. How do students earn tiger paws to attend the Tiger Pride Celebration? When students make positive choices such as holding the door for others, taking responsibility for their actions, walking safely, or cleaning up after themselves, they can earn a tiger paw. Students that ride the bus can earn paws from the driver and/or attendant by staying seated and following directions. Let’s all ROAR at Garner!! Check out Garner on Bay News 9. Parents please remember to check your child’s folder for important school information and be sure to sign and return to school the following day. Please select the link below to get more information of getting a Public Library Card. 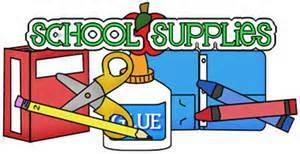 Parents/Guardians may receive a hard copy of the above-mentioned documents upon request. Goal of the parent centers is to educate, equip, and partner with our students and their support systems by offering a wide variety of relevant and effective programs and resources that will make a positive impact. To see classes currently available or to register, click here. Sign up for the Parent Portal!! Description of Event: Student Orientation Day, Paraeducators First Work Dayr Additional Information: School Calendarsr Contacts for Event: Contact your school for times.